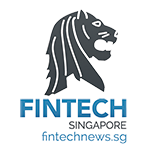 PiSight, a Singapore based Fintech, is announcing the launch of PiMoney, a digital financial assistant platform powered by eWise´s patented account aggregation technology, Aegis. 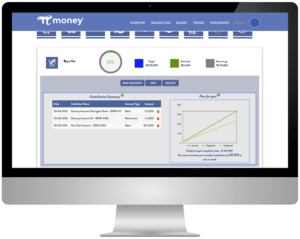 PiMoney helps users see a complete picture of their finances all in one place and actively control their monthly expenses and savings. PiMoney, initially launched as a web application, is now available on AppStore for iOS based mobile applications. The Android based mobile app is expected to be launched soon. Founders Rajesh Singh and Abhishek Kumar have significant experience in the Financial sector having previously worked with Barclays and Ernst & Young respectively in Singapore. They felt there was a need for an efficient personal finance management platform to help people achieve their financial goals without compromising online security and data privacy. Unlike similar platforms that store user’s credentials such as bank login ID and password on cloud servers, the patented eWise technology used by PiMoney encrypts and stores the user’s credentials on the user’s chosen device. eWise is used by leading financial insitutions including HSBC and WestPac. “PiMoney is one of the most comprehensive aggregation platforms available in Asia, offering aggregation of bank accounts, credit cards, loans and investments. Our innovative and intelligent features such as PDF statement reader, automatic categorisation, and budget/goals tracking will cater to needs of different user segments. PiMoney will help people to take a more involved and proactive approach to meeting their financial goals.” Said Rajesh Singh, CEO of PiSight. “PiSight’s use of our secure Personal Data Vault will allow sensitive financial information to be stored on the user’s personal device, without login and passwords being shared in the cloud or with a third party. “We are delighted that our financial data aggregation platform is helping PiMoney to bring new value added services to the Singaporean market,”said David Hamilton, CEO of eWise. 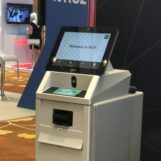 To learn more about implementing eWise’s technology and services to build private and secure financial apps and services, visit www.ewise.com.